Last week’s economic news was highlighted by the Fed’s Federal Open Market Committee statement on Wednesday. The statement indicated that the Fed saw moderate economic growth and that they would continue with their existing bond purchases. 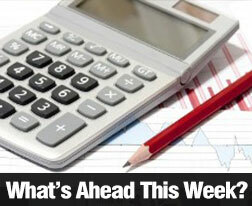 All eyes are focused on GDP on Thursday and Non-Farm Payrolls on Friday. Below is a full list of reports set for release this week.